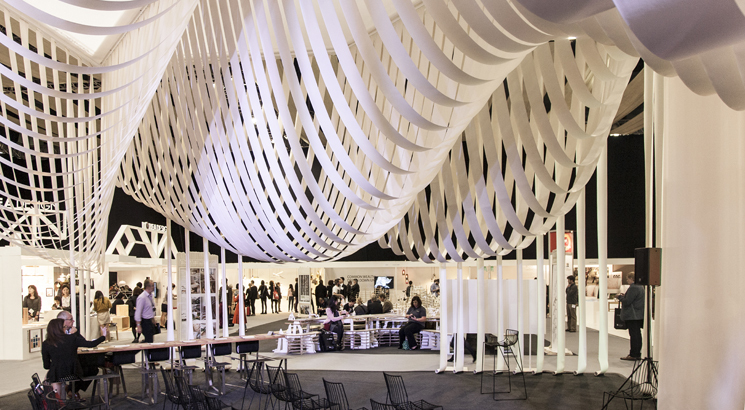 Paper Space is the hub for the 100% Design International Pavilions area. 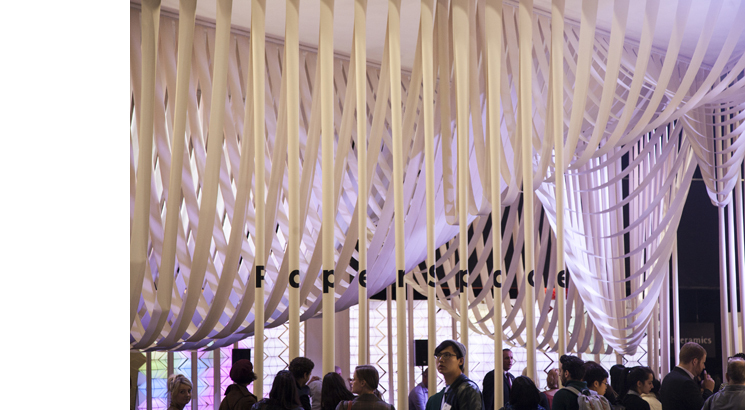 Studio Glowacka were asked to create a standout architectural installation to provide a space for international events, talks and debates. 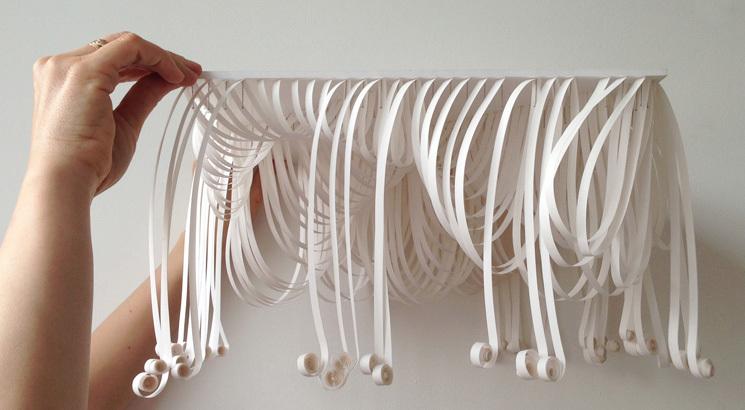 The hub needed to resonate with the idea of international design exchange and feel unique yet universal. 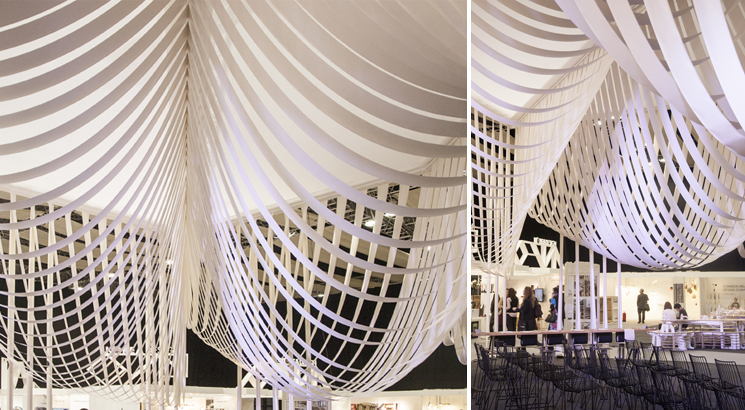 We collaborated with Maria Fulford Architects on the design and realisation of the hub. 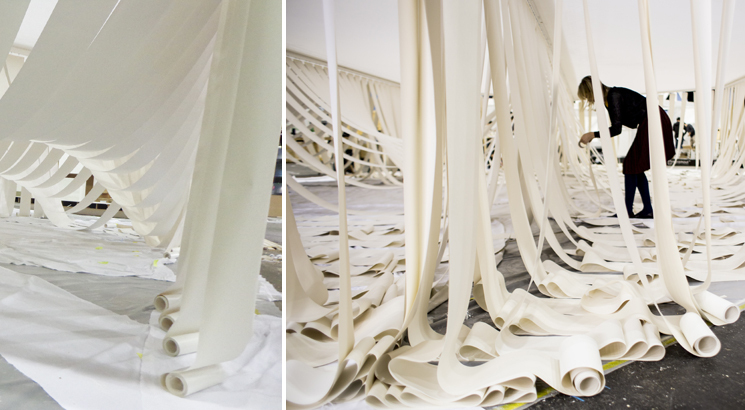 Paper is one of the most universal of materials. It’s a blank canvas for communication and a receiver for ideas. 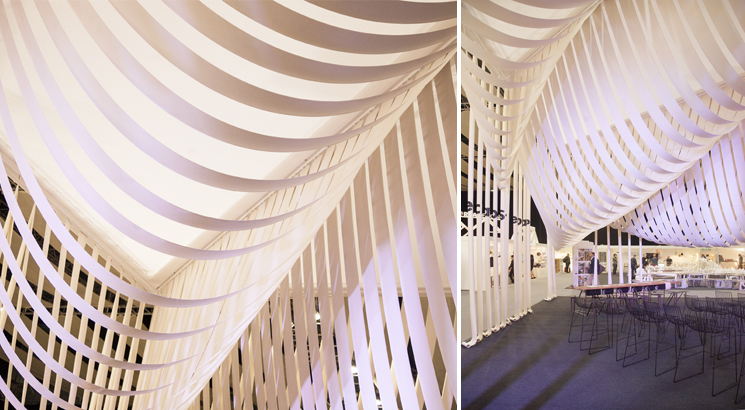 1500 meters of white A4 paper are draped to create an undulating ceiling, which defines a central meeting and events space. 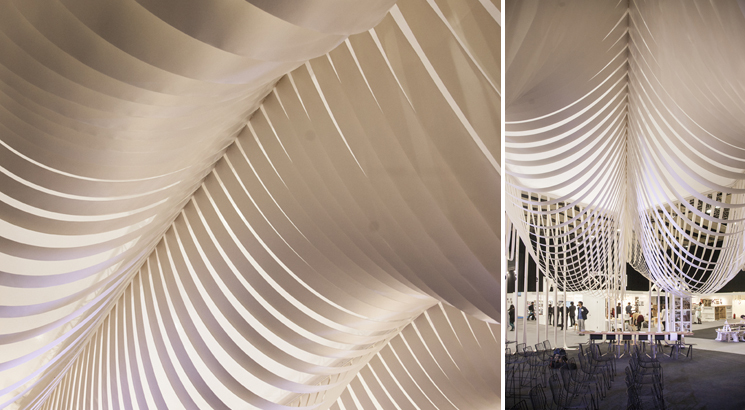 Around the hub perimeter vertical paper strips drop down to the floor to define a permeable boundary. 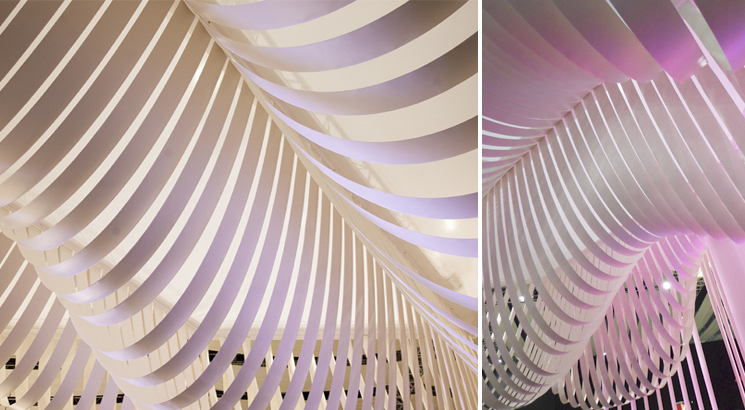 Paper Space is illuminated by borrowed light from the adjacent exhibitor structures, changing character like a paper chameleon depending on the neighbouring light conditions. 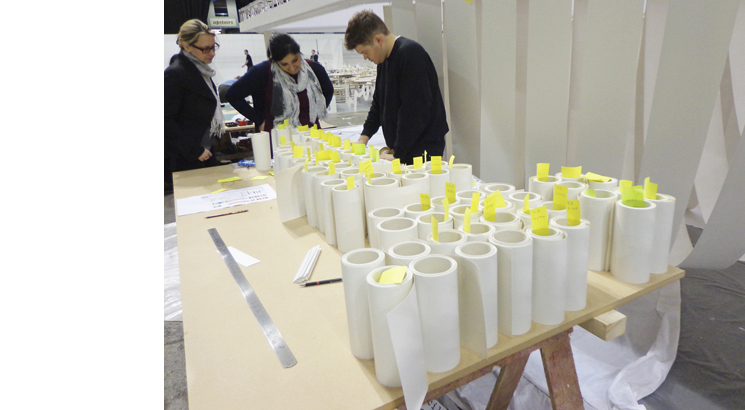 The bespoke table inside Paper Space was hand made by students of Diploma Unit 17 at UCL Bartlett School of Architecture. The table, made from waterjet cut from 5mm steel plate and CNC machined white oak, holds integrated paper rolls, where visitors can share ideas on paper that can be torn and taken away. Within Paper Space the table provides a focus and platform for collaboration and the sharing of ideas. Photos are by Alastair Browning.